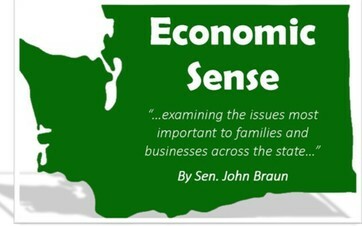 In this newsletter you will find the eighth edition of my policy letter, Economic Sense. This edition looks into the Governor’s historically expensive proposed collective bargaining agreements and examines whether they are the best use of taxpayer funds. It addresses lost opportunities, and provides context around state employee pay, retention, and impacts on the state budget. Very Expensive & Unusual – The Governor negotiated Collective Bargaining Agreements for 2017-19 that are double the cost of any prior agreements. The result is nearly half of the state’s workforce receiving pay increases of more than 10% over the next two years. Unnecessary? – Reports from the Governor’s own budget office show that Washington does a good job retaining employees. The turnover rate is well-below the national public sector average. Please click here to read the entire newsletter. Do you know others who live in our district who may not be receiving my e-news updates? Please feel free to forward this e-mail to them or click on the share button below. If you haven’t already, please subscribe to continue receiving my e-newsletter updates.